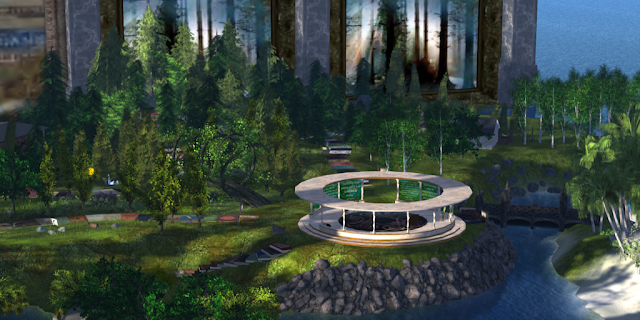 * Wednesdays, March 2 - 23 at 7pm slt in the Featured Book Area: Aoife Lorefield presents "The Hunter's Moon." O.R. Melling' first novel in her Chronicles of Faerie series, as a brother and sister experience adventure traveling through real landscapes, tied all together with the threads of myth and legend that make Ireland the magical place that it is. * Saturday, March 12th at 1pm slt at the Arena: WHAT COMES FIRST, THE BUILD OR THE STORY? (A Workshop) Virtual worlds are opportunities to mold environment and narrative together in a way that is often not possible in other media, or that functions with very different sets of resources and limitations. AND part of that potential involves more than seeing what works on Marketplace and plopping it down flat terrain and calling it good. Sister Buttah shares her experiences "building for narrative."